Hempfield High School in Landisville, Pa., has sold the names of several of its sports and academic facilities. 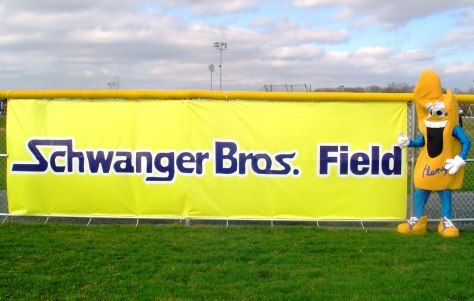 The Black Knights softball team plays at Schwanger Bros. Field, which is sponsored by a home services company. That’s Flamy, the company’s corporate mascot — not the school’s — on the right.